In this episode, Nia is joined by Janel Martinez, founder of Ain't I Latina and co-founder of 20/20 Shift. They pick up on a conversation started in their DMs on Instagram about leveraging your feelings in business. 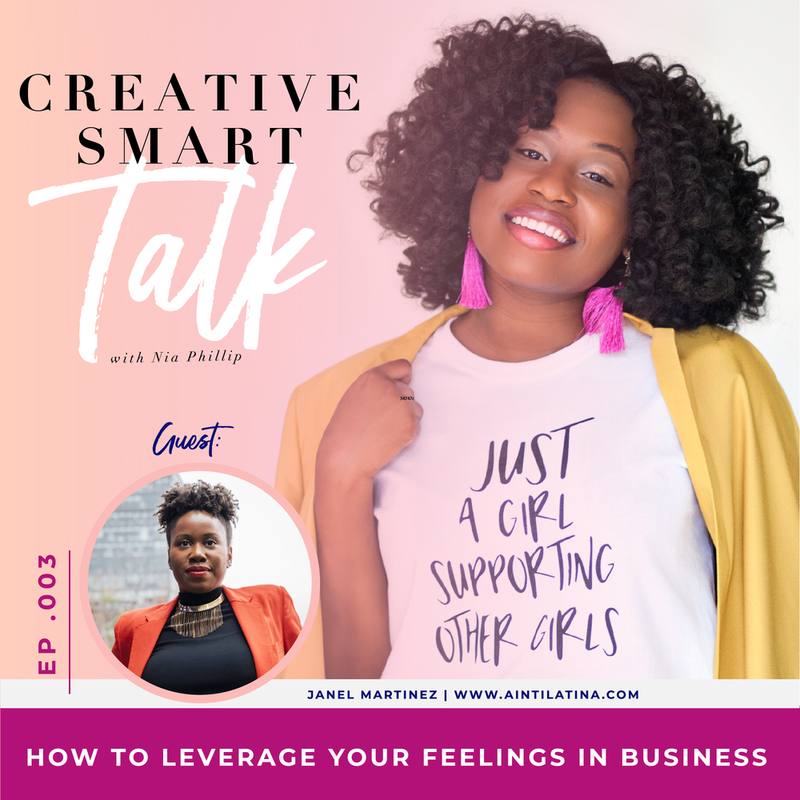 Janel drops some incredible gems on women's intuition, how to use it in your business and your careers, and the powerful combination of intuition and data. Forget all the conventional advice about your feelings in business and professional settings. In fact, the future belongs to the emotionally intelligent. Be sure to subscribe, rate and leave a review to the podcast on iTunes or SoundCloud.